The drawing of sculptural casts was always regarded as the fundamental step in practicing the art of drawing. The best choice, obviously, would be to draw from original sculptures. If you are lucky enough to have museums nearby that display sculptures and reliefs, going to the museum and drawing from life would be the ideal way to train. You may also consider drawing from the cast copies; it is no way less important or less useful than drawing from life. If you have no options other than drawing from photographs of the sculptures or casts, don’t disregard this opportunity. Even making drawings from photos will help you to improve your drawing skills. Usually marbles and casts are white or monochrome, which helps the artist to concentrate on the shape and tonal solutions rather than on colors. 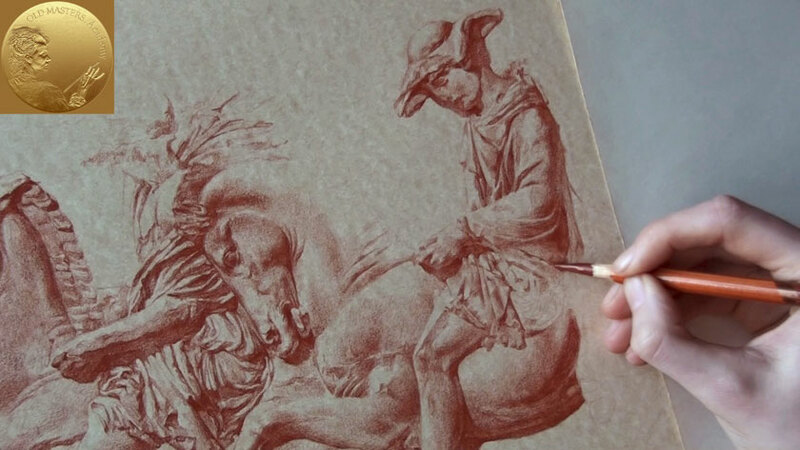 On our light-toned paper the white chalk creates natural highlights. 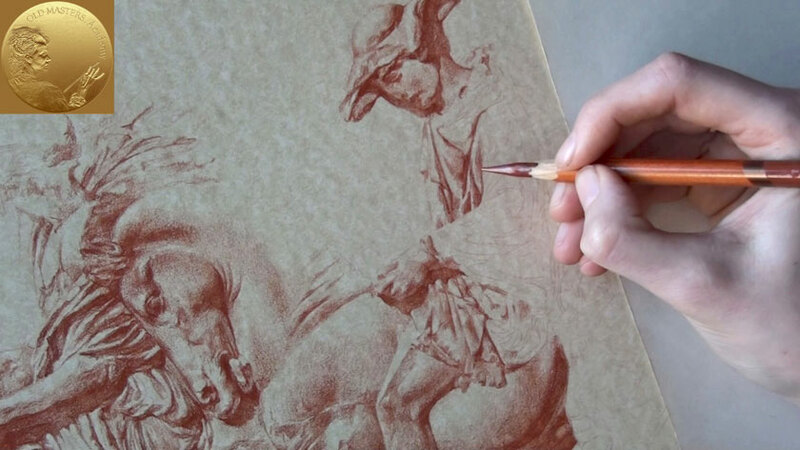 On the darker-toned paper the white chalk will appear in much stronger contrast, standing out from the mid-tones. The white chalk pencil is used for our drawing. This is the same chalk that comes in sticks. Using it in pencil form allows you to sharpen the tip and make more precise white strokes. 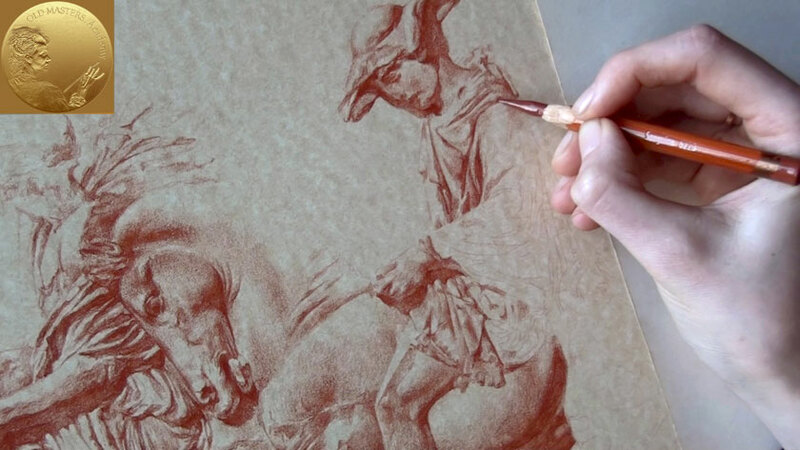 It is quite important to keep the places for highlights sanguine-free, because white chalk mixed with sanguine will create an unwanted pink-orange tint. This is the final result of our drawing in sanguine. You will notice how the white chalk freshens up the monochromatic drawing and gives greater contrast to the volumes of shapes.